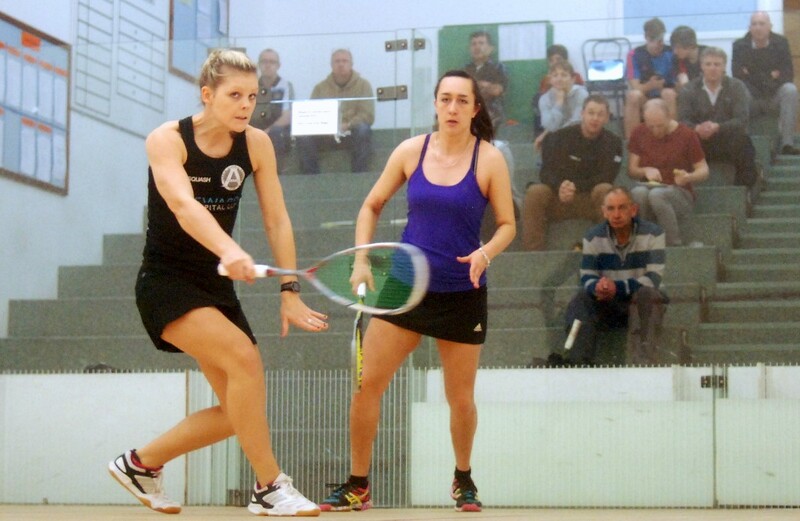 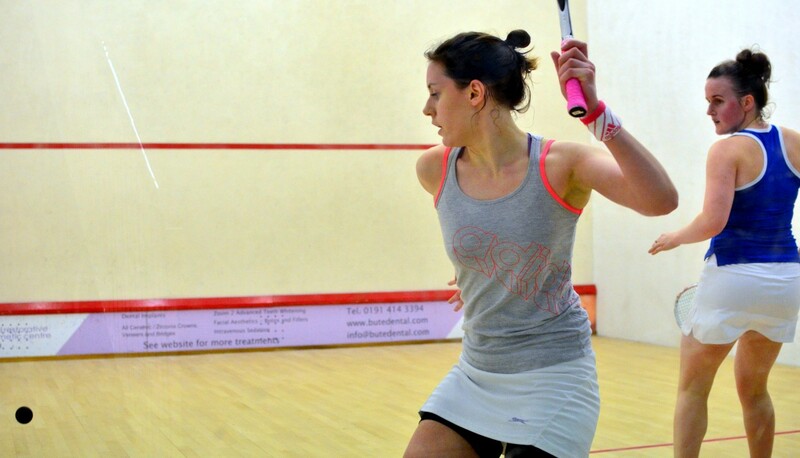 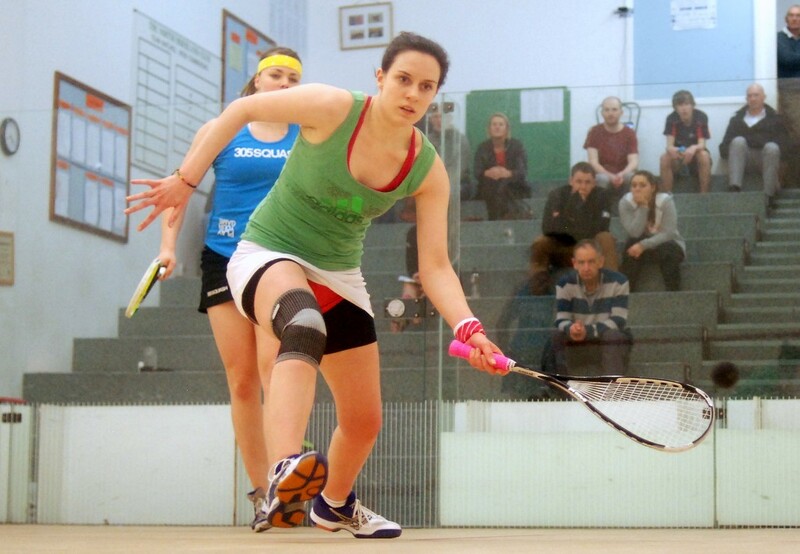 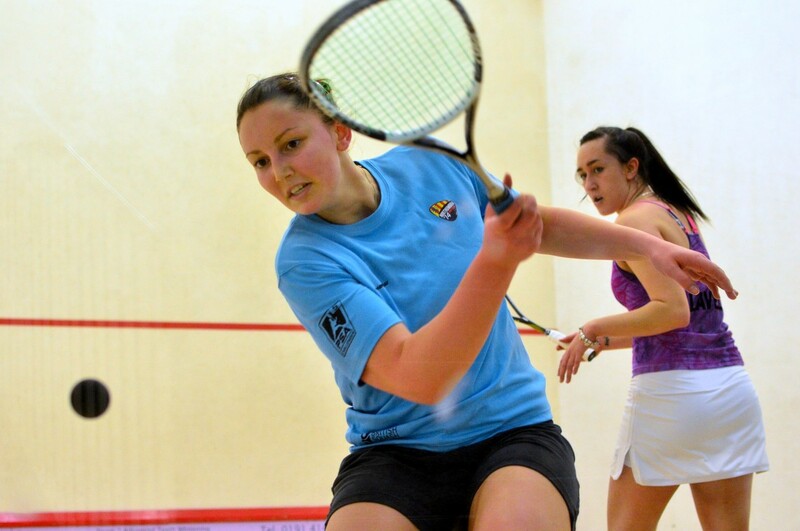 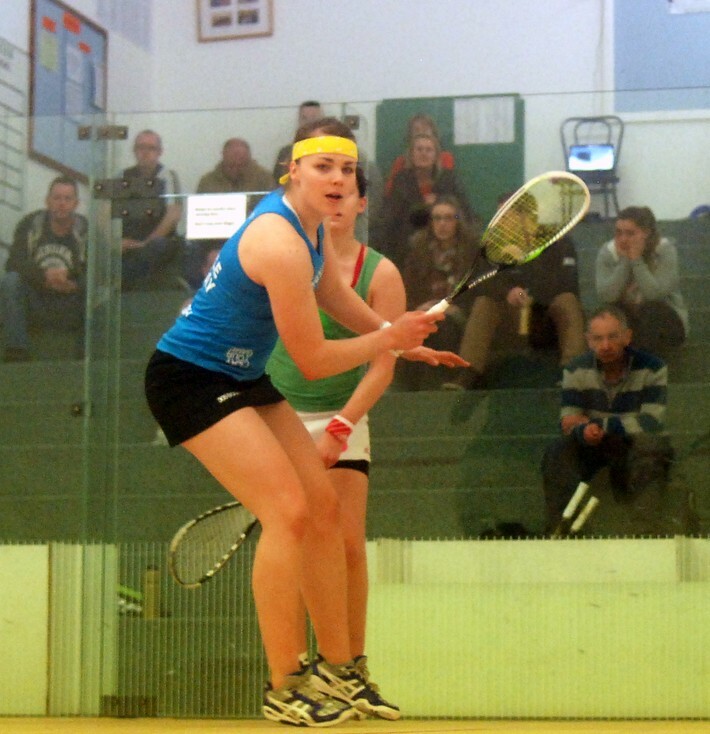 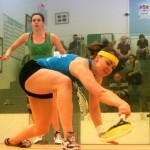 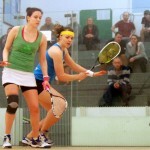 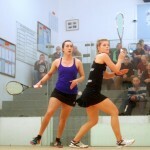 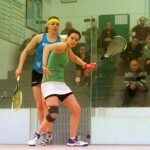 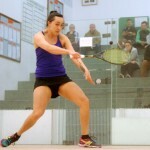 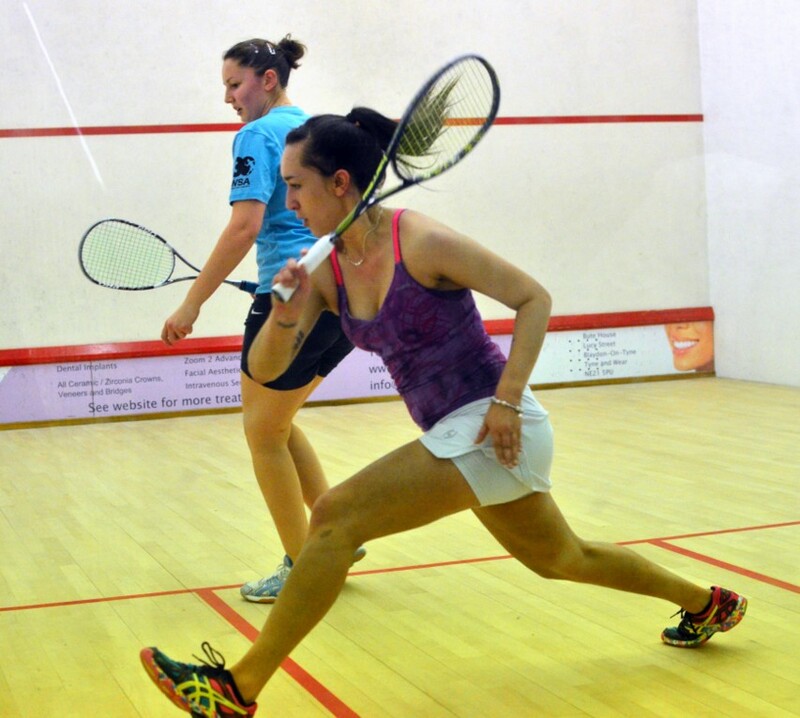 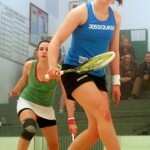 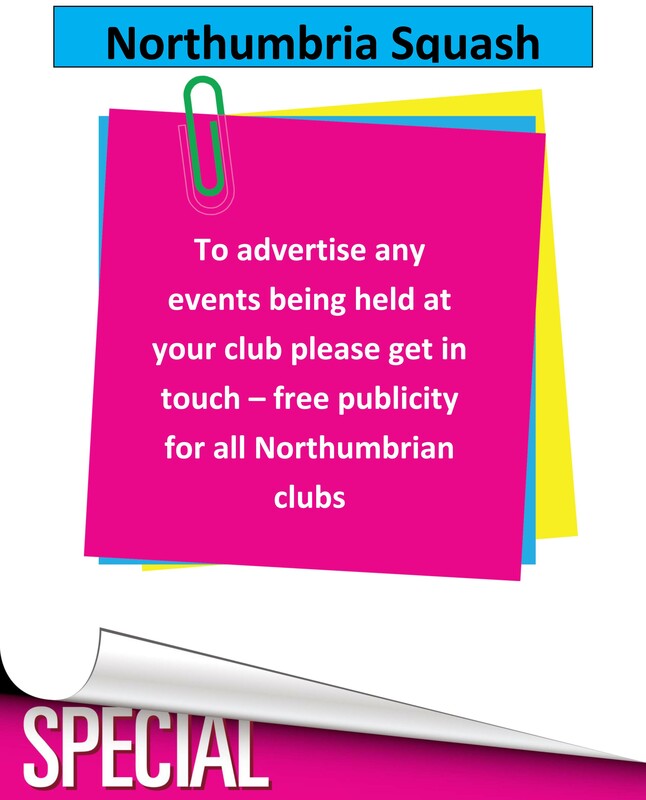 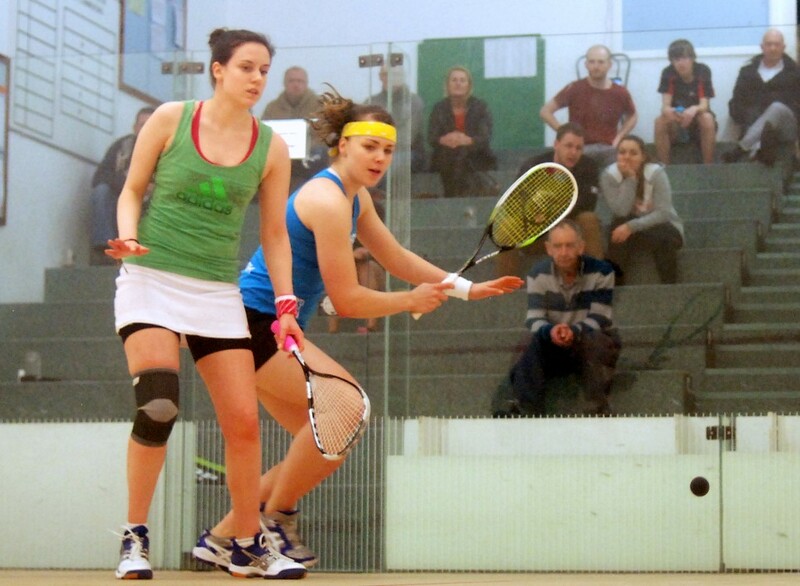 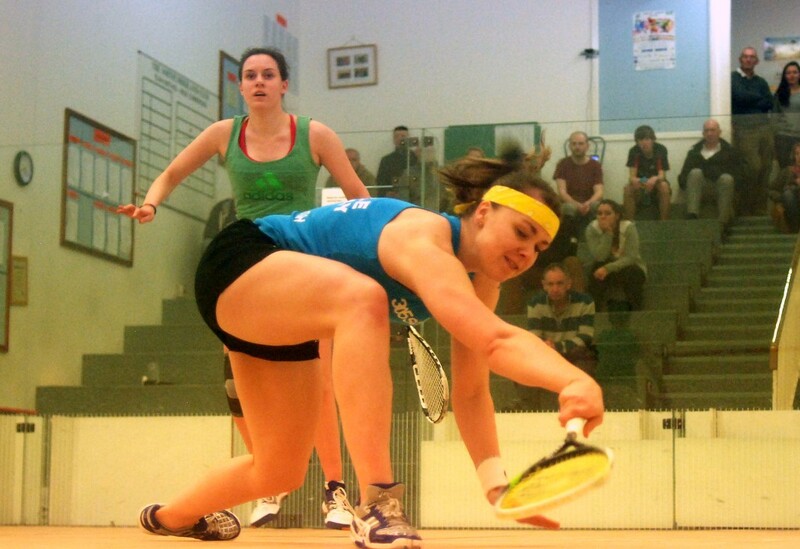 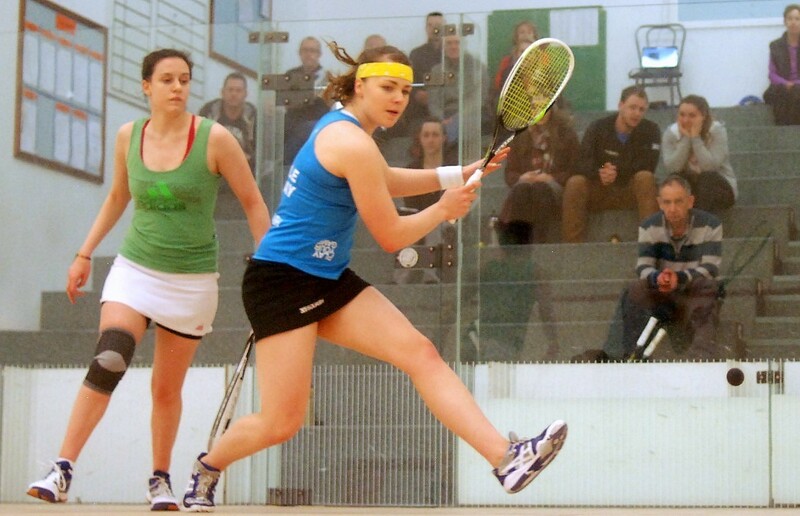 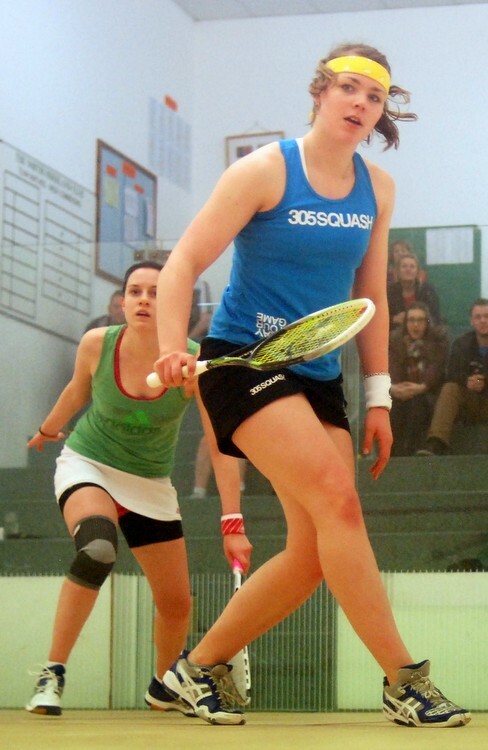 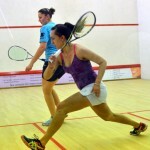 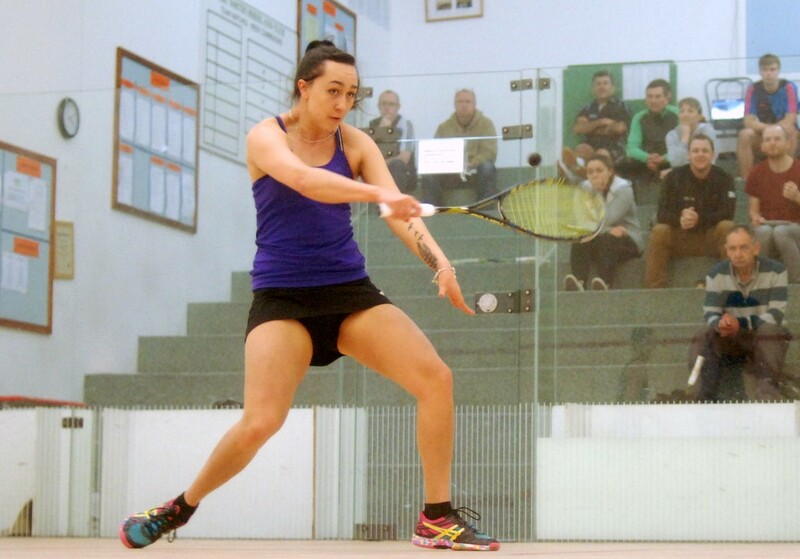 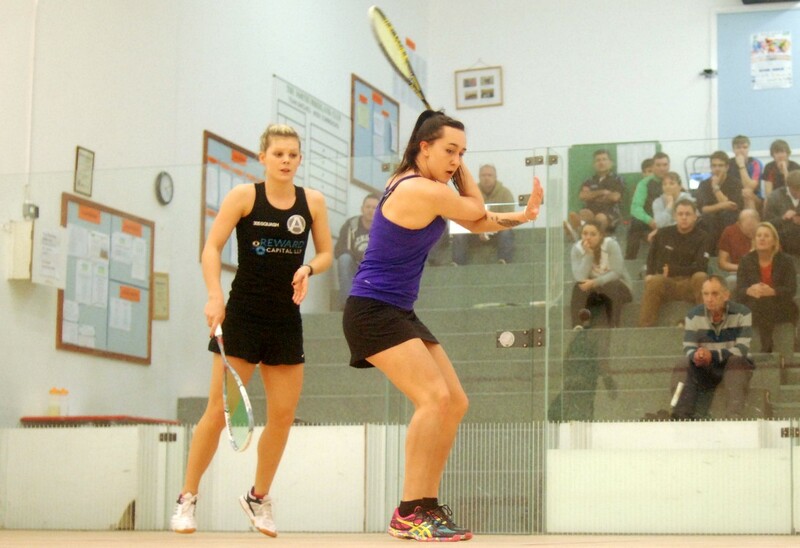 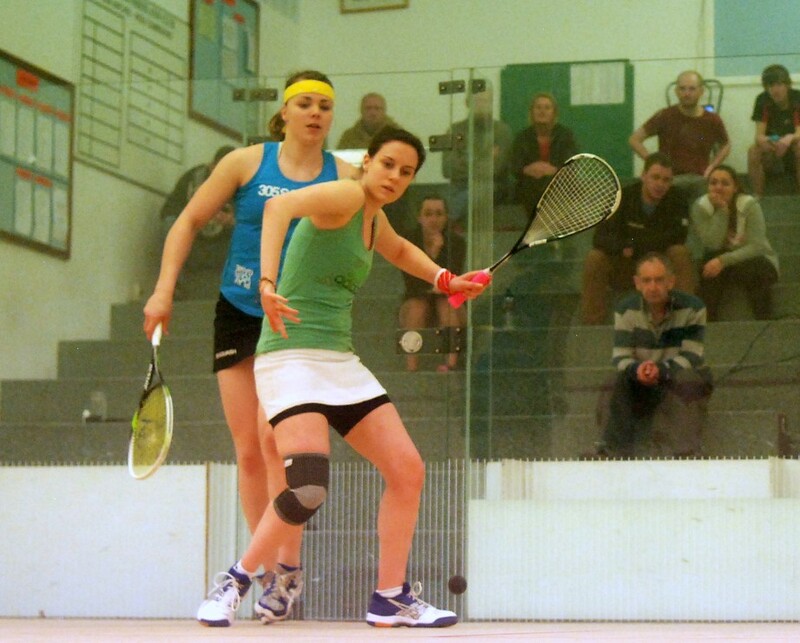 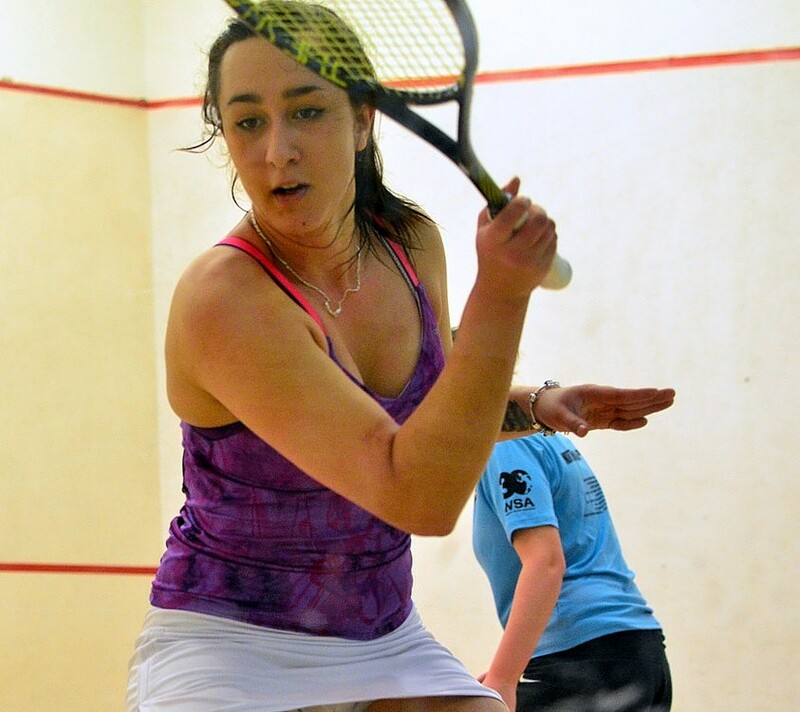 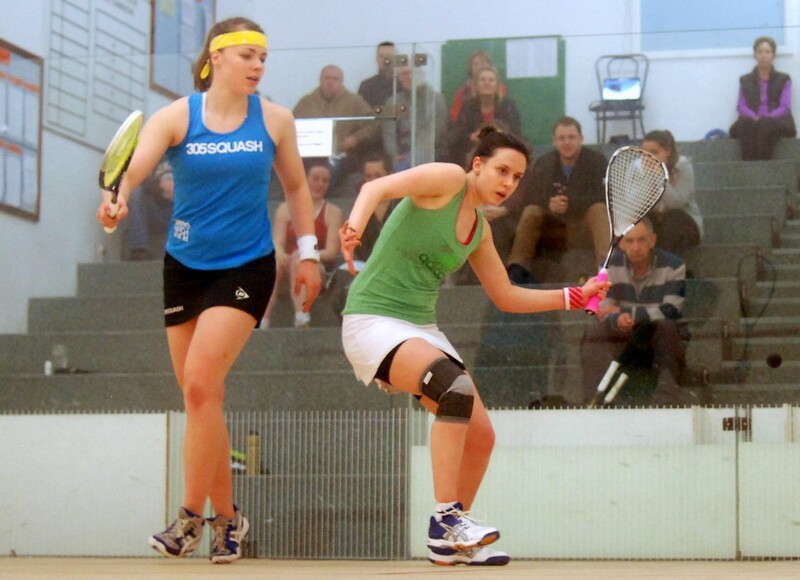 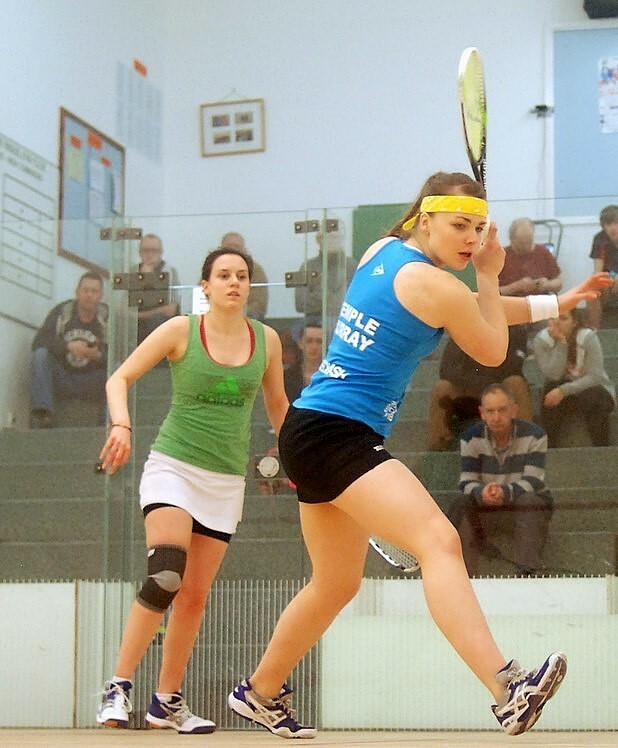 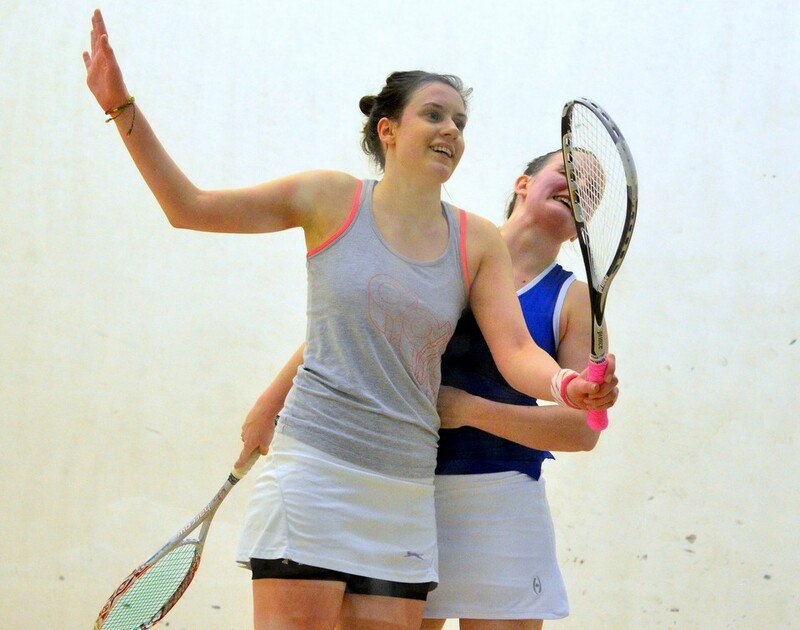 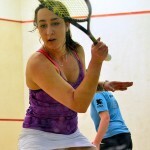 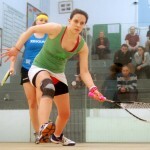 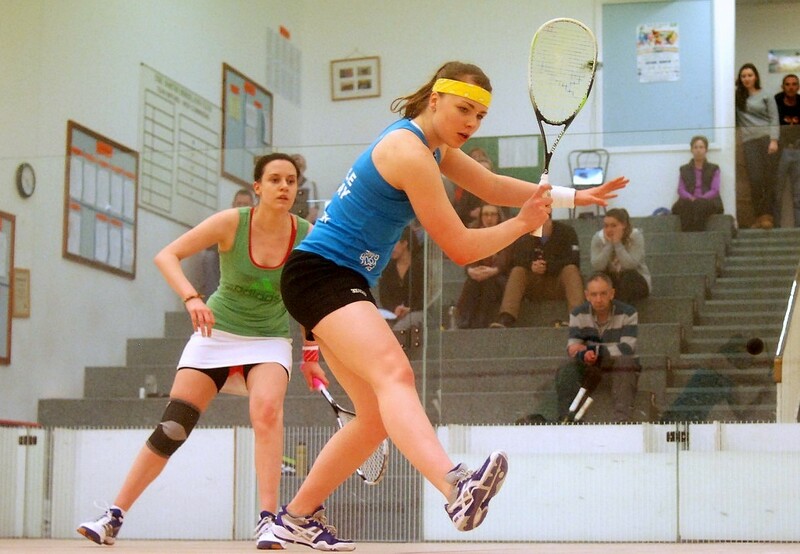 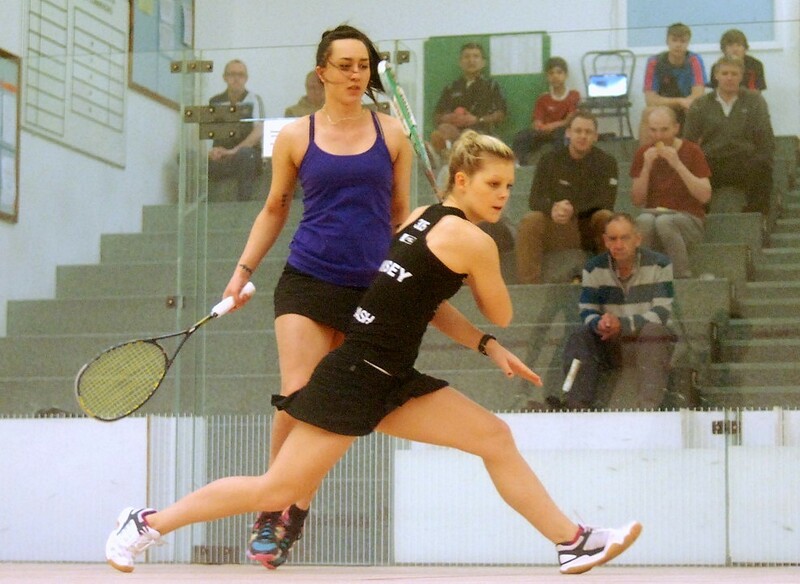 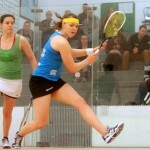 Second seed Tory Temple-Murray then beat Northumberland’s own Sarah Dowson 11/2, 11/6, 11/3 to set up the expected final. 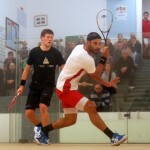 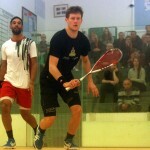 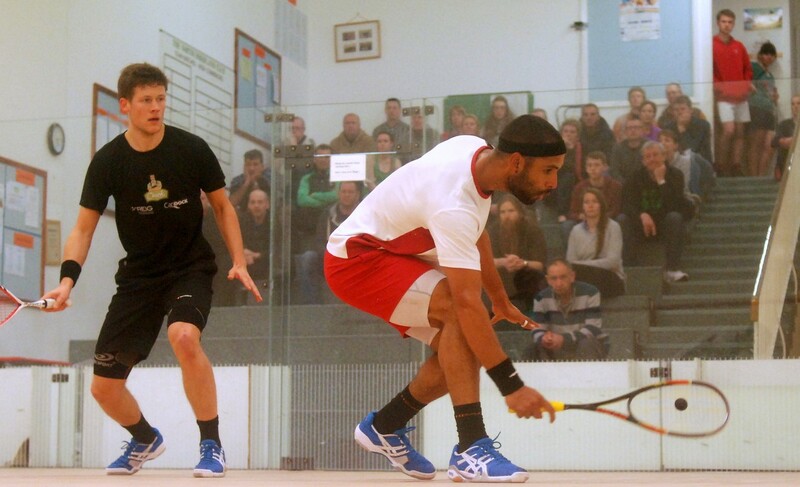 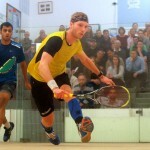 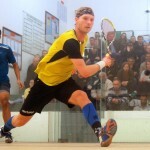 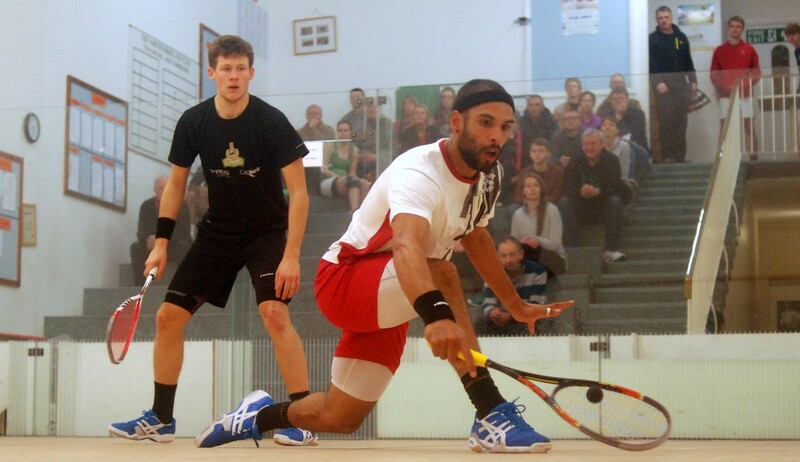 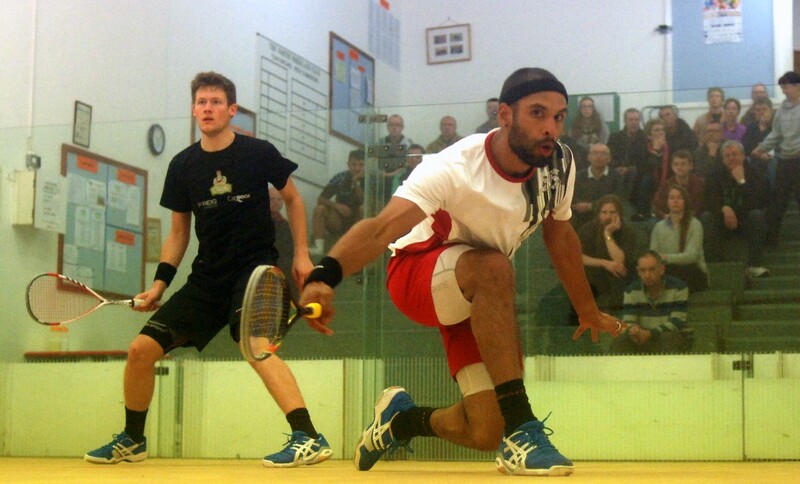 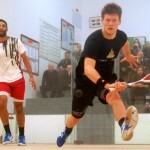 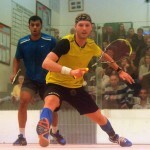 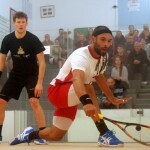 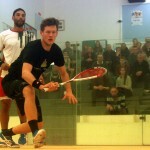 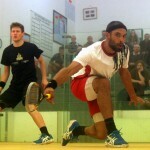 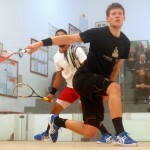 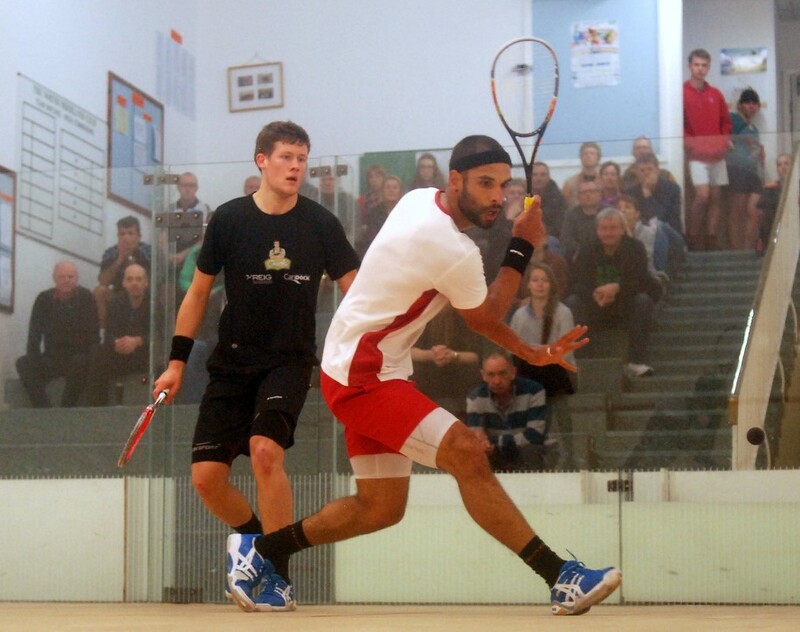 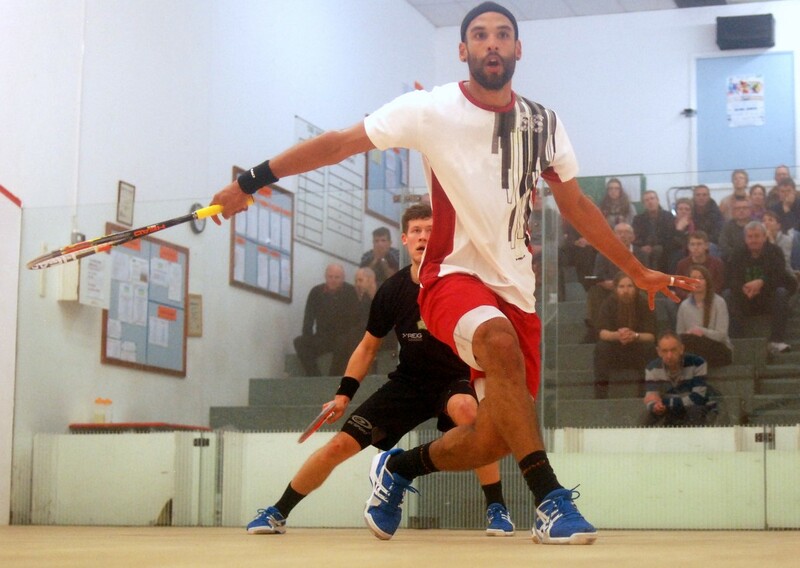 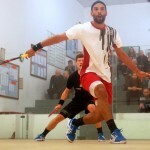 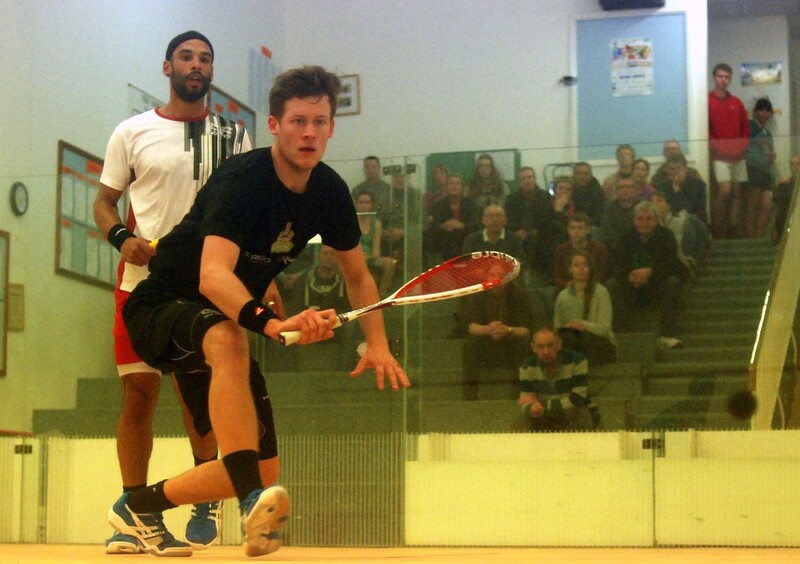 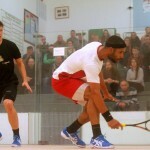 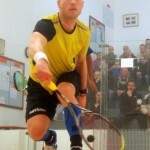 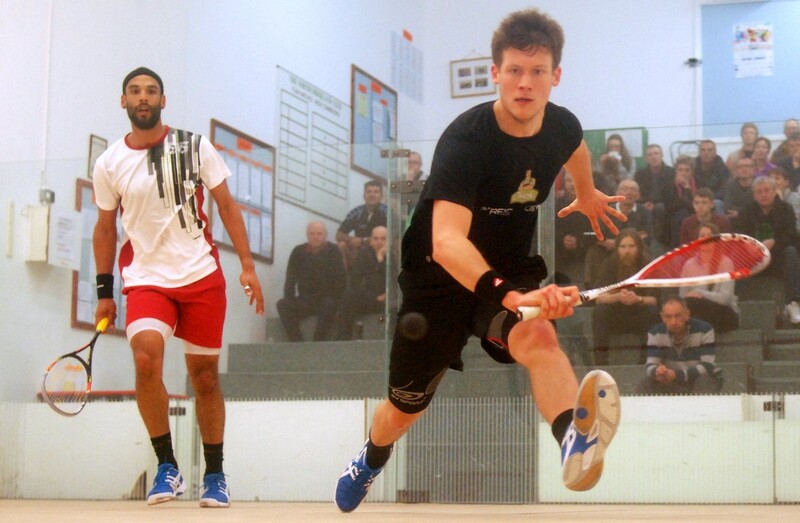 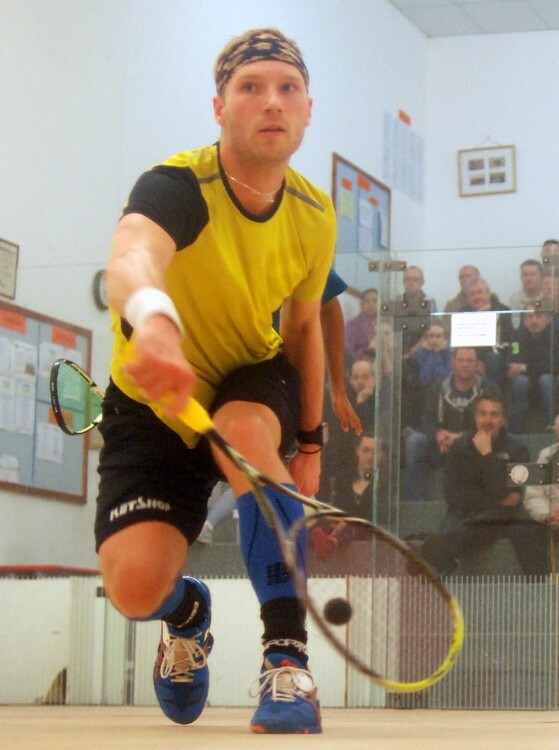 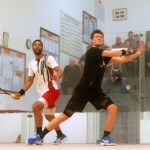 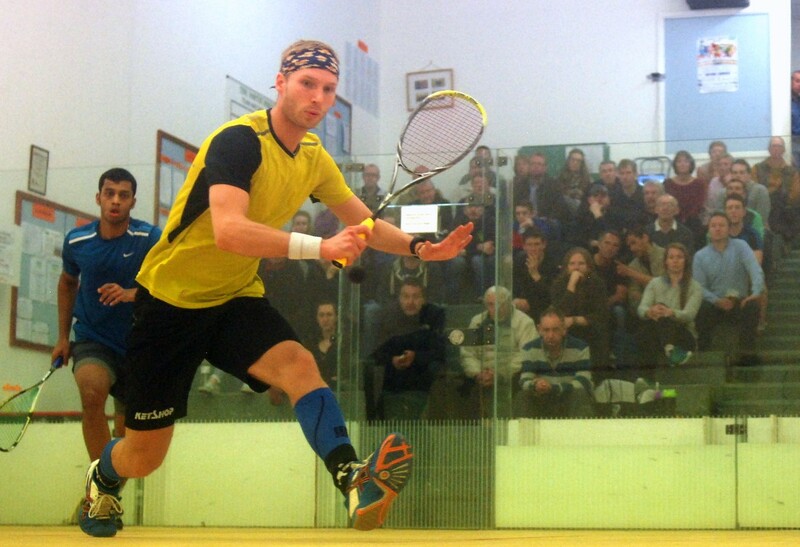 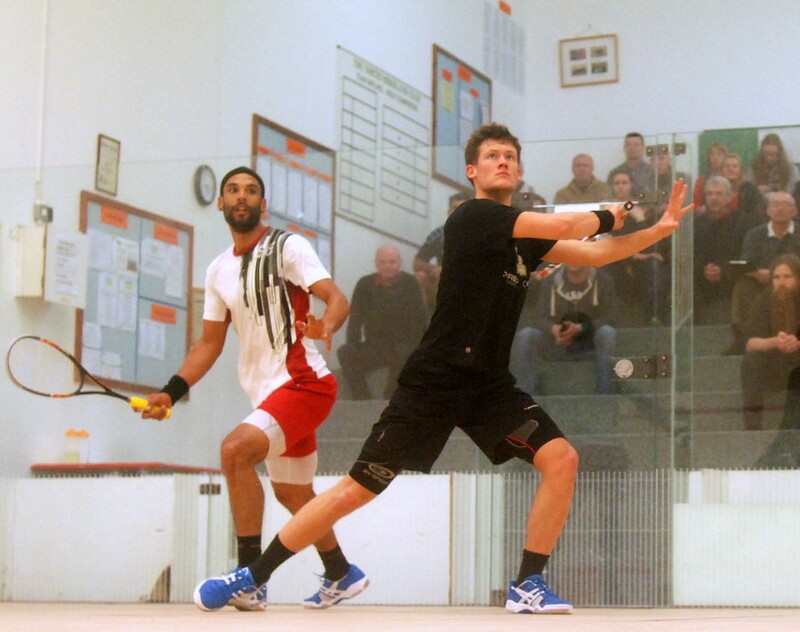 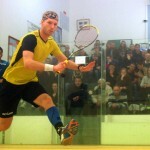 The first men’s semi-final pitted top seeded South African Shaun Le Roux against Geoffrey Demont, the Frenchman who caused a minor upset in beating fourth seed Peter Creed in the quarters. 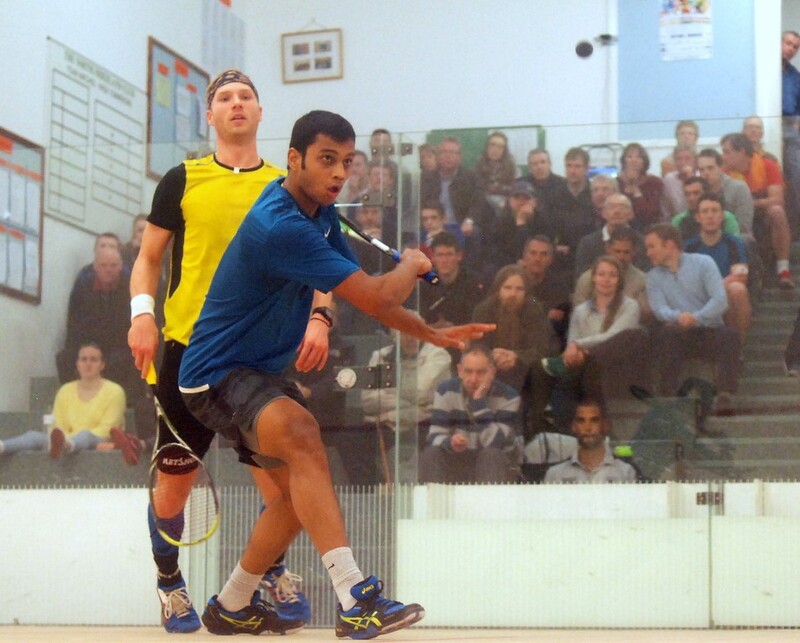 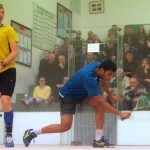 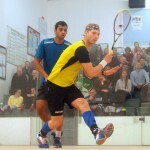 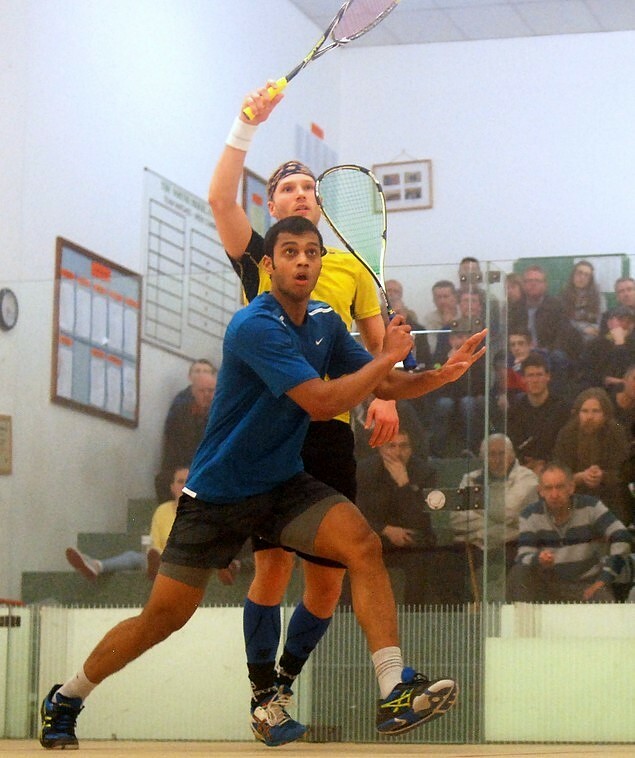 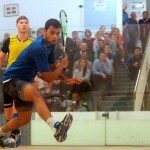 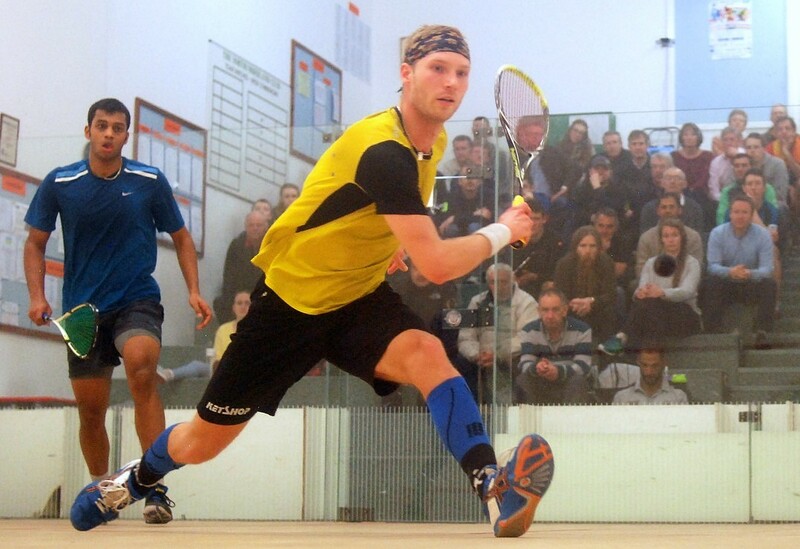 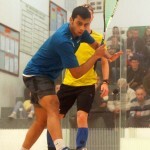 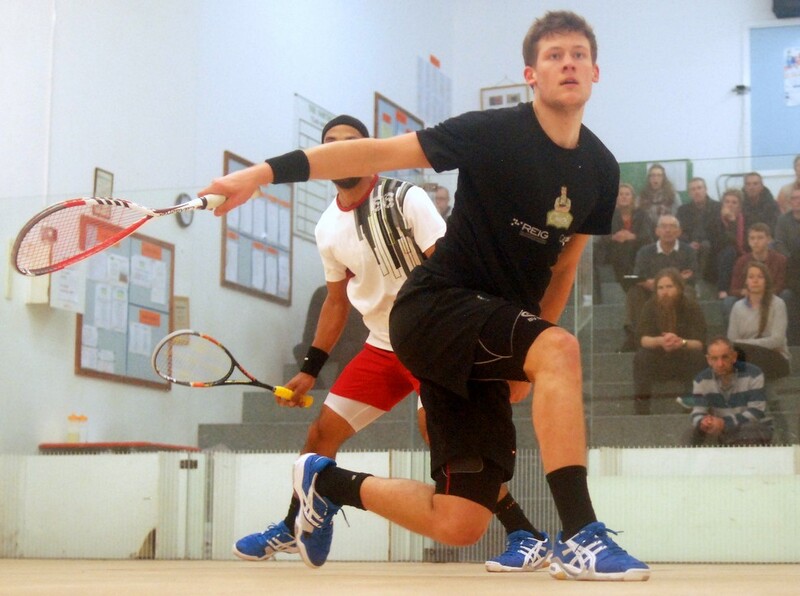 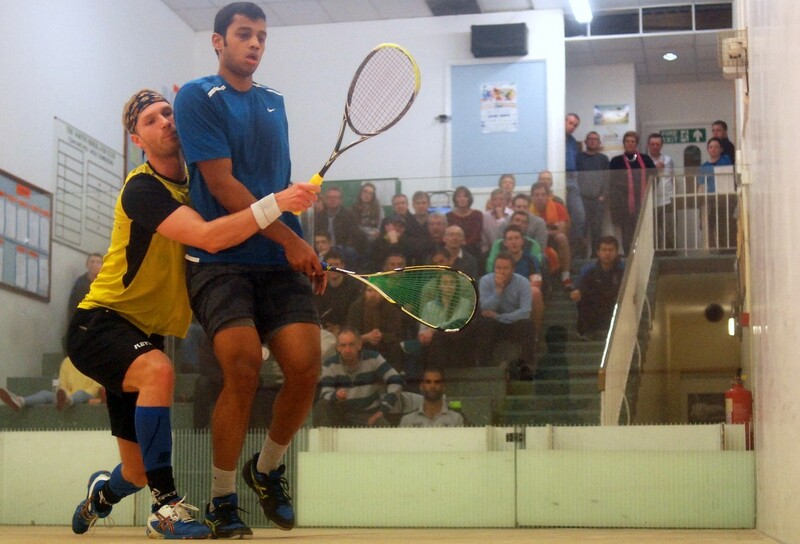 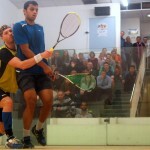 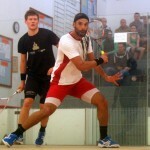 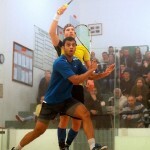 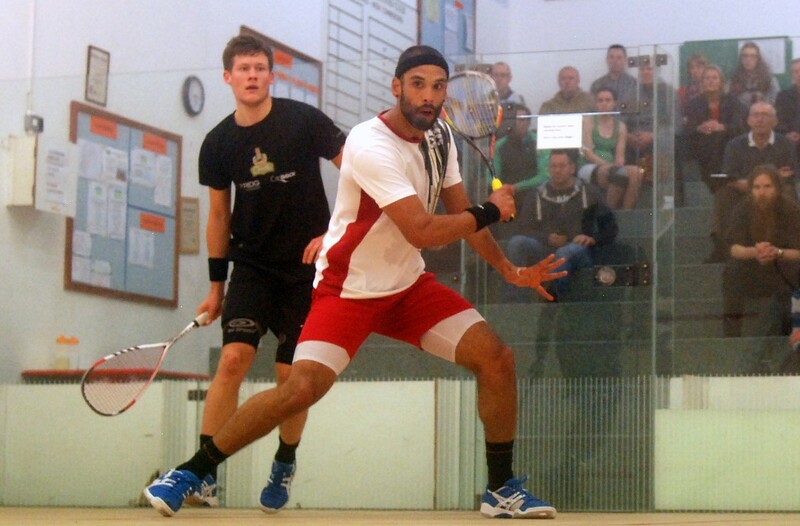 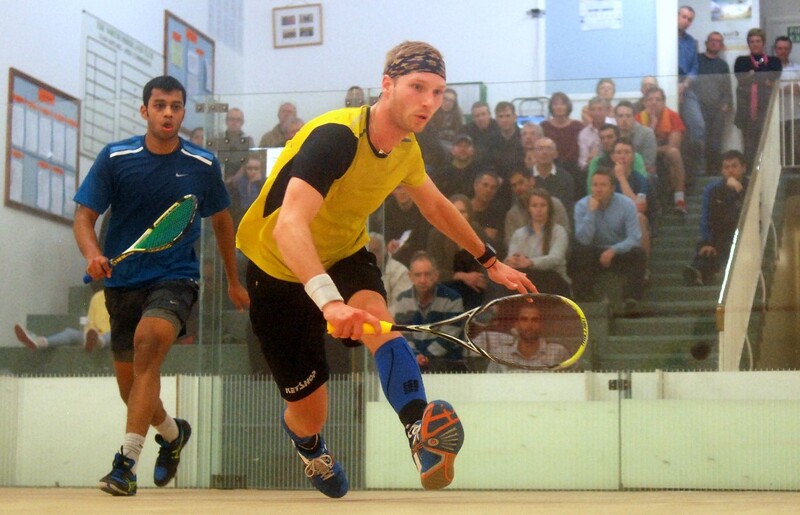 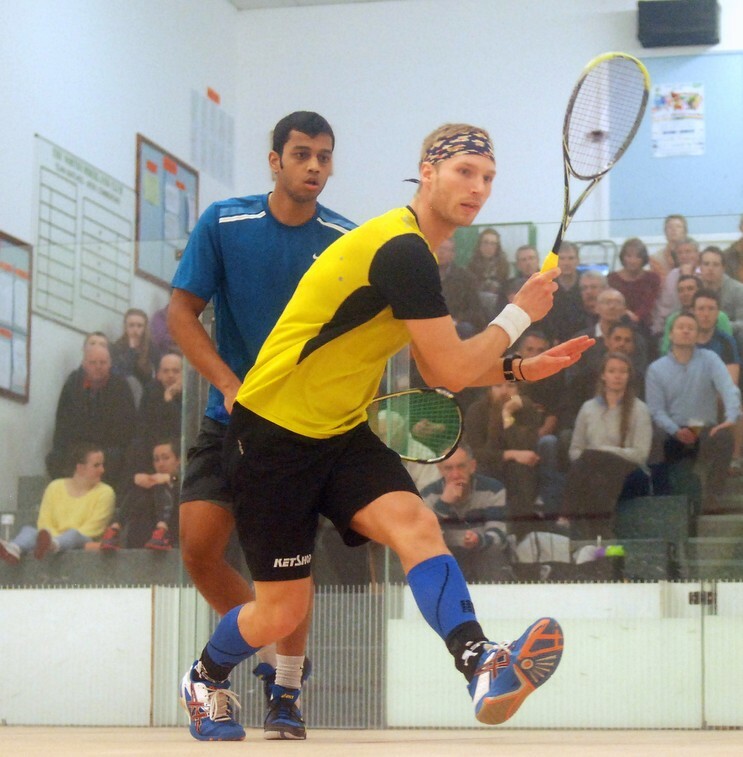 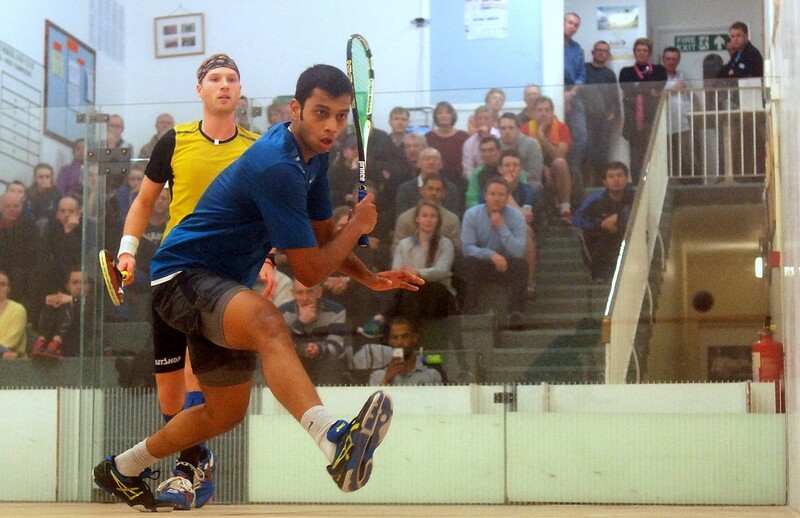 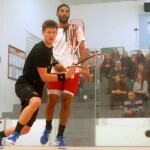 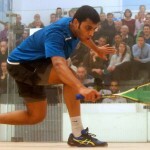 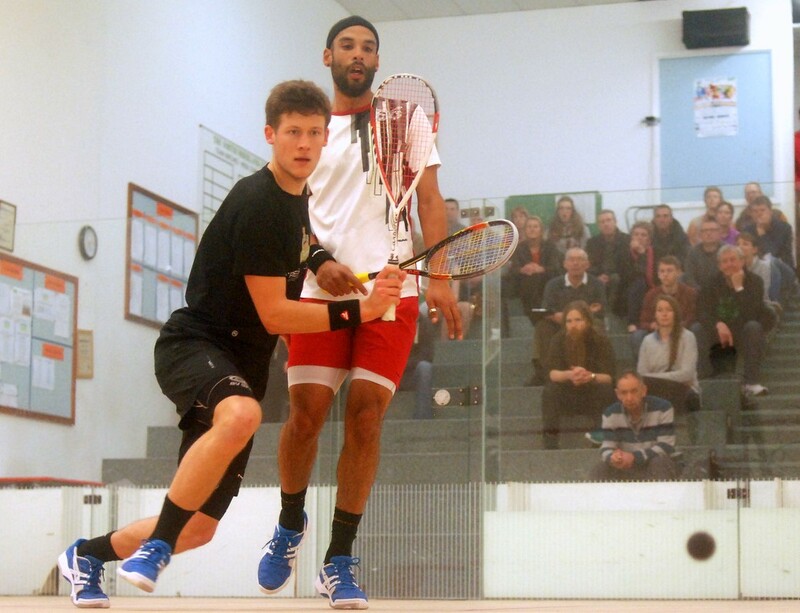 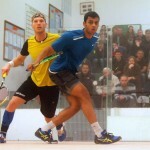 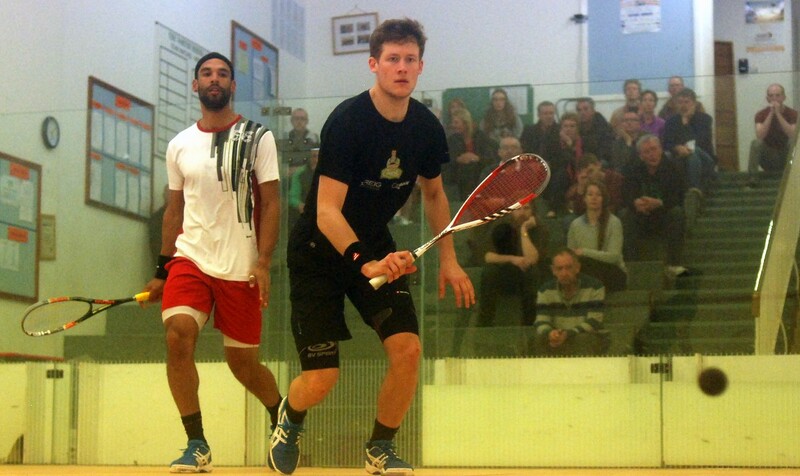 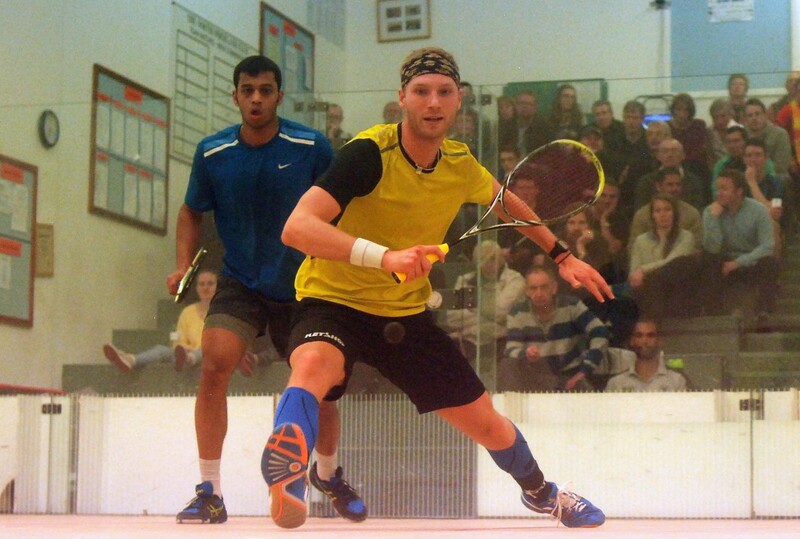 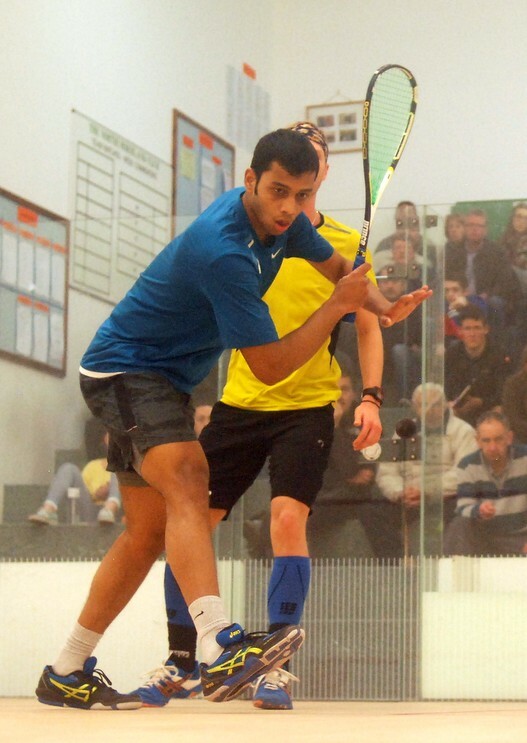 The young Indian made a good start, but the Dane settled into the match and worked his way back from 3/9 to 8/9, with the rallies becoming longer and tougher. 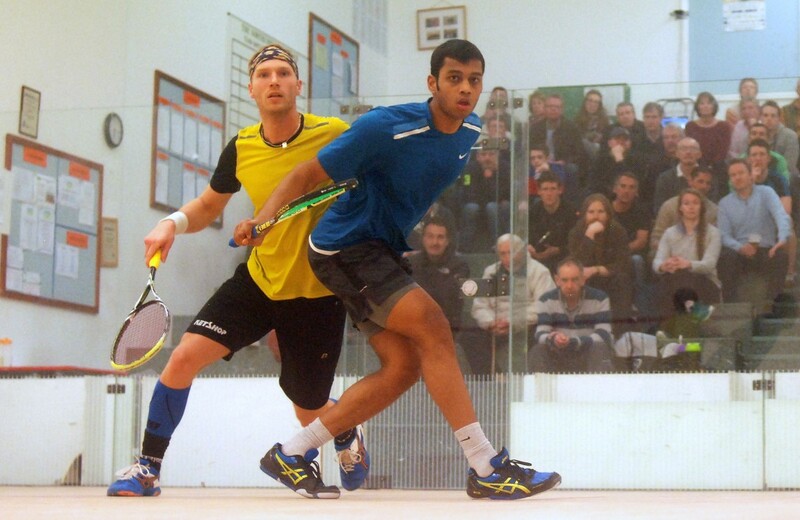 Mahesh got two game balls as Frost tinned, but couldn’t capitalise as Frost took a long opener 13/11. 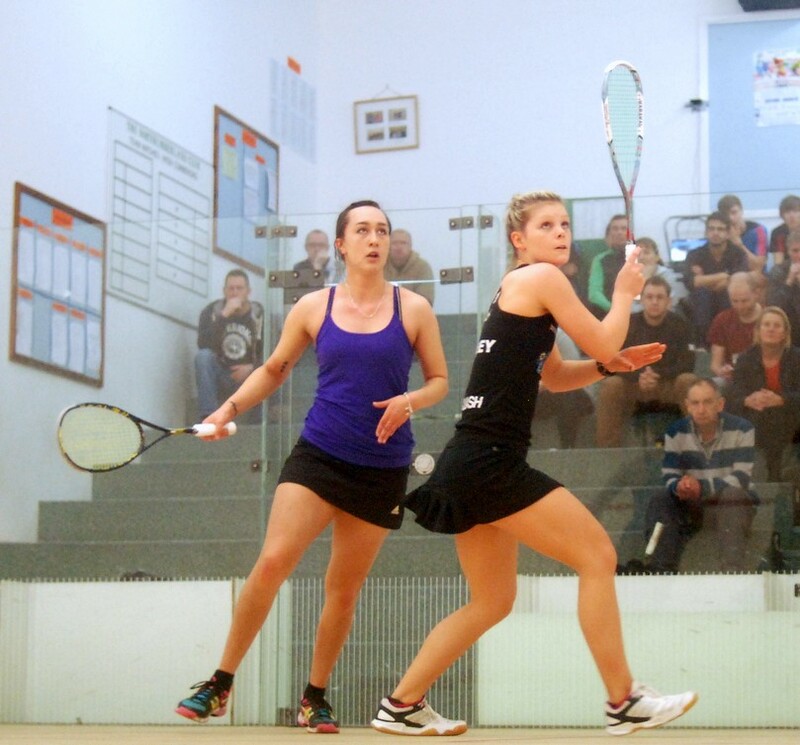 Frost always had the slight edge in the second, but the rallies were brutal and the stoppages frequent – it wasn’t until over 50 minutes of play that the Dane went two nil up 11/8. 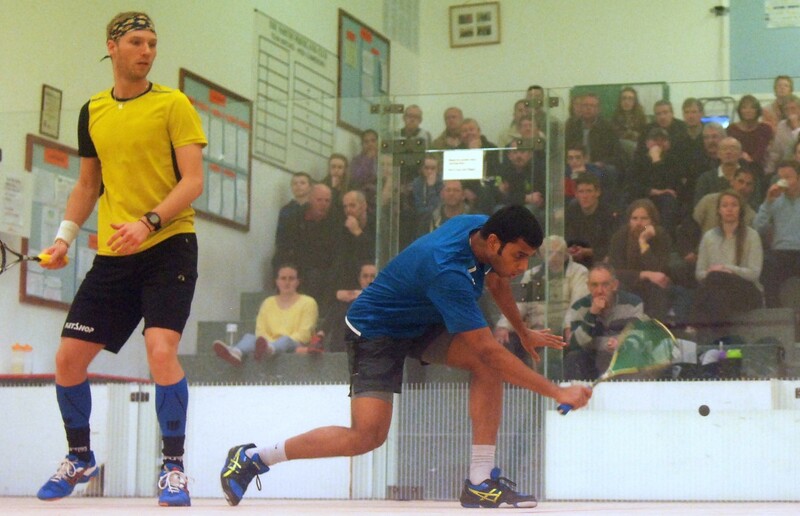 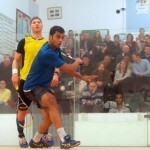 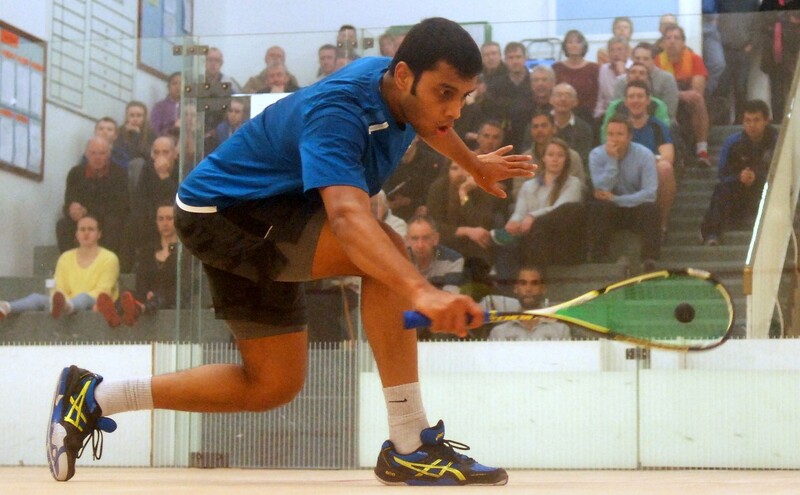 After 72 minutes it was two one, Mangaonkar recovering from a 5/1 deficit to pull a game back 11/6. 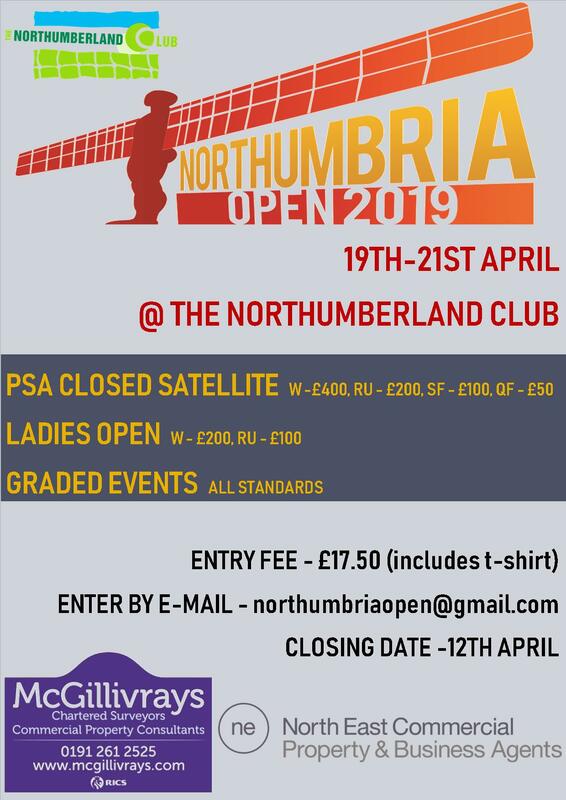 Graded finals start at 14.00 on Sunday, with the main men’s and women’s finals from 16.00.